Action scenes are designed to excite and shock an audience – as voyeurs we are taken on a thrilling and thought provoking ride without leaving the comfort of our seats. Left in awe, we marvel at the dazzling actors and actresses who are playing out our wildest fantasies (and sometimes nightmares) on the screen in front of us. The action created on screen often seems almost magical providing a glimpse into a strange reality and an adrenaline rush without jeopardising our safety. However, behind some of the most high-impact action scenes is a stunt man or woman who is prepared to - at times- risk their lives, purely so that the Hollywood action scenes come alive on your screen. And so, to celebrate the release of Point Break on Blu-ray on 13th June, we’re taking a look at some of most daring stunt men and women who strive to make our viewing experience that little bit more exciting. Dar Robinson has been labelled the ultimate stunt man, he broke 19 world records and set 21 world firsts. Whilst Robinson’s line of work isn’t as extensive as some, he created a fundamental benchmark in stunt performances when acting as the stunt double for Steve McQueen in Papillon (1973). Hong-Kong’s celebrated actor, martial artist and stuntman Jackie Chan is renowned for being a one man show who in all his endeavours performs his own stunts. 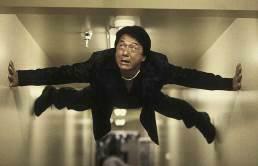 The Rush Hour star has done everything from sliding down a skyscraper to his most action-packed stunt - shooting fight sequences on top of a moving bus in 2004's New Police Story. Vic Armstrong started working as a stuntman in the 1960s, starring as Harrison Ford’s stunt double in Indiana Jones and the Temple of Doom (1984) and Christopher Reeve’s on Superman (1978). He has worked on over 100 films picking up numerous accolades along the way, including an Academy Award and scooping the Lifetime Achievement Award at the World Stunt Awards in 2005. Clay Donahue Fontenot is one of Hollywood’s most sought after stunt men today, his line of work is an extremely extensive and he has an impressive back catalogue. 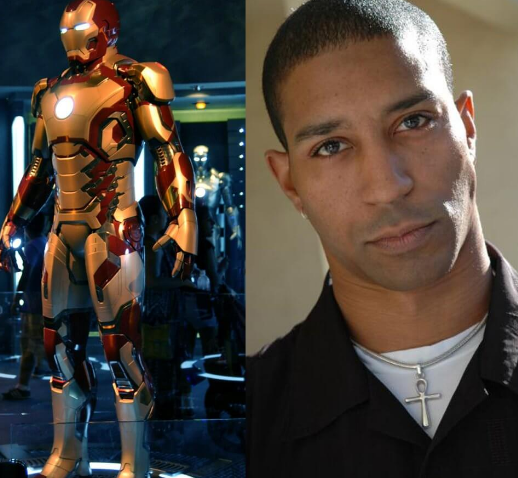 Clay has dazzled audiences in films such as Iron Man (2008) and Django Unchained (2012). We may not recognise him, but he is the force behind the costume that has propelled these characters into the action hall of fame. 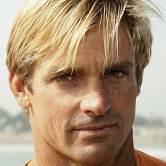 World renowned ‘’waterman’’ Laird Hamilton is known as the guiding genius of cross-over board sports. He is considered the pirmary influence behind many surfing innovations. Surfer magazine has labeled Laird as ‘’the sports most complete surfer’’ and has starred as Kevin Costner’s stunt double in the film Waterworld (1995) and Point Break (2015). When Daniel Craig’s life or Liam Hemsworth’s renowned good looks can’t be risked – Bobby Holland Hanton dons the outfit and takes the leap. The former gymnast, trick-diver, and semi-pro soccer player brings unparalleled athleticism and discipline to his craft, allowing him to learn new skills and transform his body on demand. Whether he is donning a suit and playing Bond (Quantum of Solace 2008), or channelling Thor (Thor 2: The Dark World 2013), Bobby succeeds. From setting herself on fire, to performing some of Angelina Jolie’s most notorious stunts in Salt, Janene Carleton has secured a reputation as one of the most daring stunt women in Hollywood. Janene is the body behind death defying stunts in films like Watchmen, The Twilight Saga, X-Men: The Last Stand and Mission: Impossible - Ghost Protocol. As a Hong-Kong based actress, Michelle has had the opportunity to work with the legendary Jackie Chan, starring in Police Story 111: Supercop (1992). It was this box office hit that cemented her place as Asia's top female action star. Whilst having an amazing career as a stunt woman, she has also starred in Academy Award winning ‘’Crouching Tiger Hidden Dragon’’. Buster Reeves has acted as a stunt double for some of the most iconic characters in Hollywood. The Dark Knight broke box office records and cemented Christian Bale as a Hollywood hero, however, Buster Reeves was the man who performed the daredevil stunts. Reeves has also been a body double for Brad Pitt in Troy and Sam Worthington in Clash of The Titans – placing him as one of the best stunt men within the industry. Jeremy Jones is a world class professional mountain snowboarder. Whilst in pre-production Point Break director, Ericson Core realised that in order to make this film as believable as possible it was a necessity to hire the most elite sportsmen in the business. Jeremy Jones performed several of the most high impact scenes in Point Break (2015). As viewers we fall in love with the journey a film takes us on, the journey that gives us a sense of escapism. The ability to transcend and shock an audience is an important one, and without stunt men and women our viewing of action would be extremely different. The 2015 remake of Point Break showcases some of the most daring and exhilarating stunts – it is not one to be missed.